IN STORE PICKUP ONLY! 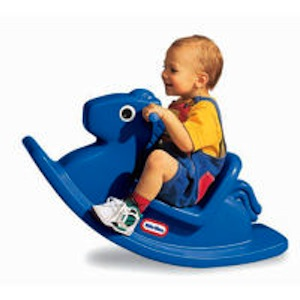 This classic rocking horse is ideal for making imaginary gallops around the house. Smoothly rounded, with a high seat back, easy-grip handles, and a low saddle designed for stability. Comes fully assembled. Ages 1-3 years.